Downtown&apos;s hippest hangout for coffee lovers. The recently expanded store sits a few blocks from the University of Tampa and draws an eclectic crowd. 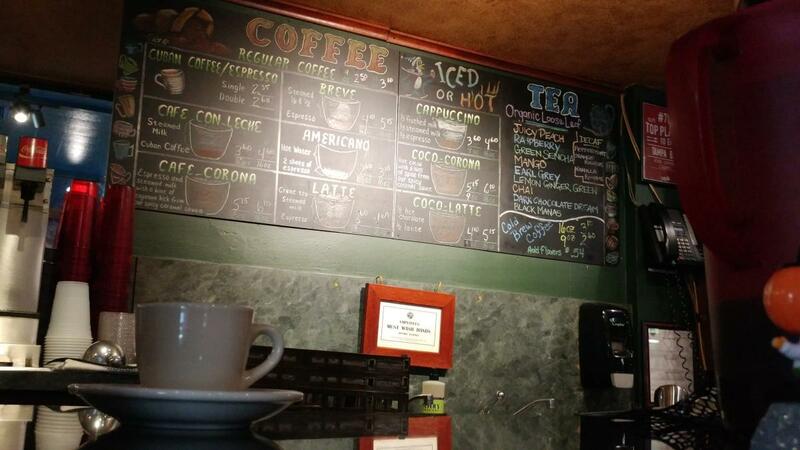 The coffee roasted on site percolates through many other establishments in town, but this where things start. You&apos;ll find other Buddy Brew spots at Tampa International Airport and Hyde Park Village shopping district. On August 16, Buddy Brew announced it will expand soon to a new spot in Park Tower in downtown, putting even more great coffee within easy reach. A century ago, this building was the livery for the former Tampa Bay Hotel across the street. Today, the hotel with its striking silver minarets is part of the University of Tampa. And the livery is now Oxford Exchange, a unique destination mixing a boutique housewares shop, book store, restaurant and Warby Parker eyeglass outlet. In the center of it all sits a high-ceilinged coffee and tea bar serving Buddy Brew. 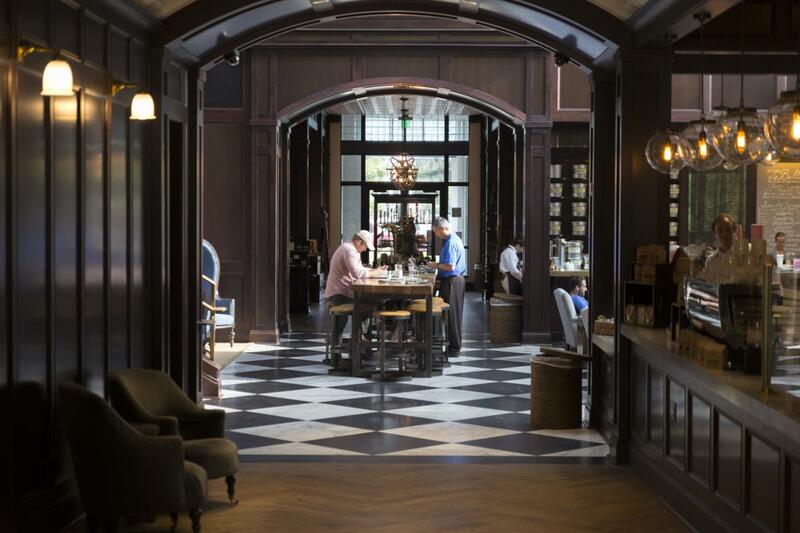 From breakfast through lunch, Oxford Exchange is the see-and-be-seen scene in downtown. Want a huge cookie that&apos;s also super health and veg-friendly? You&apos;ve come to the right place. You&apos;ll find this modern-cool coffee place in two of downtown&apos;s most distinctive buildings. The first is Rivergate Tower, the cylindrical tower standing on the Hillsborough River and overlooking Curtis Hixon Waterfront Park. Kahwa occupies part of the light-filled Cube building adjacent to the tower. While you&apos;re here, take the elevator up two floors and stroll the Florida Museum of Photographic Arts. Kahwa&apos;s other downtown location is several blocks away in the 36-story Element residential tower at Tampa Street and Polk Street. The cafe includes a larger circular bar and huge windows. On our 200+ sunny days, you&apos;ll find plenty of customers seating out front watching the world go by. 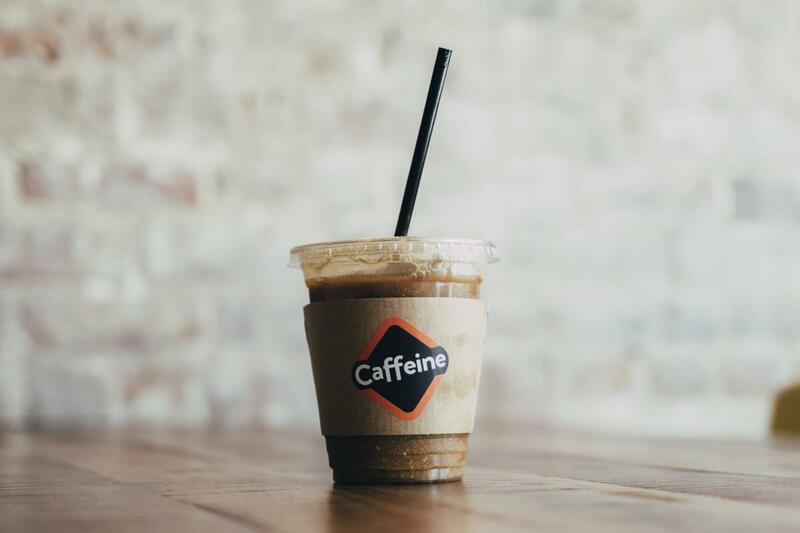 Located on downtown&apos;s rapidly evolving north side, Caffeine offers everything from pastries to signature drinks in a cozy shop. One specialty is the orange cold brew, a classic cold brew coffee with orange slices. It&apos;s guaranteed to refresh and re-energize you. Power up and rent some wheels from City Bike next door to take a spin on the nearby Tampa Riverwalk. Caffeine also has the perfect ambiance for anyone looking to catch up on email or squeeze out a little work on their tablet. A lounge area with sofas in the back made a comfy conversation pit. Even your four legged friends are welcome -- though only on the sidewalk out front. Walk into Foundation Coffee Co., and two things catch your eye. On one wall, a sheet of water cascades down a 20-foot-tall fountain that reaches to the ceiling. On the other, an elaborate, three-tiered Kyoto Drip Brewing tower provides a front-row seat to an upcoming batch of cold brew. Set in a restored 1920s-era retail trip north of downtown, Foundation Coffee Co. also offers you a back-row seat -- way back on an intimate outdoor patio at the rear of the shop. Cushioned benches and raw bricks create a quiet space for conversation. Behind the bar, Foundation uses multiple brewing methods make sure the coffee is just right. The menu also has classic pastries like cookies, apple turnovers and Le’Anns signature cheesecakes. With a minimal, slightly industrial atmosphere, Foundation Coffee Co is providing the foundation for new opportunities in gentrifying Tampa Heights. The sister store to South Tampa&apos;s famed Datz restaurant, Dough sits next door and lives up to its promise. This bakery offers one-of-a-kind handmade donuts (bacon-topped donut, anyone?) along with coffee and other pastries. The signature Doughnut Cone is a must try! It contains your choice of soft-serve ice cream in cone-shaped donuts. But get there early: the doughnut cone is so popular that it nearly sells out every day. Back in the days of Prohibition, "blind tiger" was code for an illegal saloon -- a speakeasy. 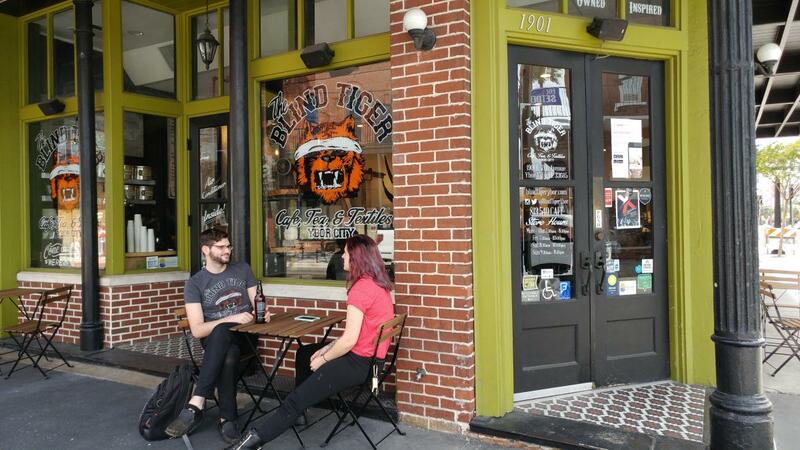 The owners of Blind Tiger chose its name as a shout-out to Ybor City&apos;s history as a notorious haven of gambling, bootlegging and vice during the 1920s and 1930s -- the story told in Ben Affleck&apos;s film "Live by Night." Ybor City is much tamer these days. Rather than gun-toting bootleggers, this Blind Tiger is home to a co-work space loaded with laptop-toting tech workers. The Seminole Heights branch includes a vegetarian/vegan menu. You&apos;ll recognize this Ybor City landmark by the large koffee klatsch going on pretty much all day on the covered patio in front of the shop. This is where Tampa Bay solves all the problems of the world, sometimes in English but more likely in Cuban-inflected Spanish. 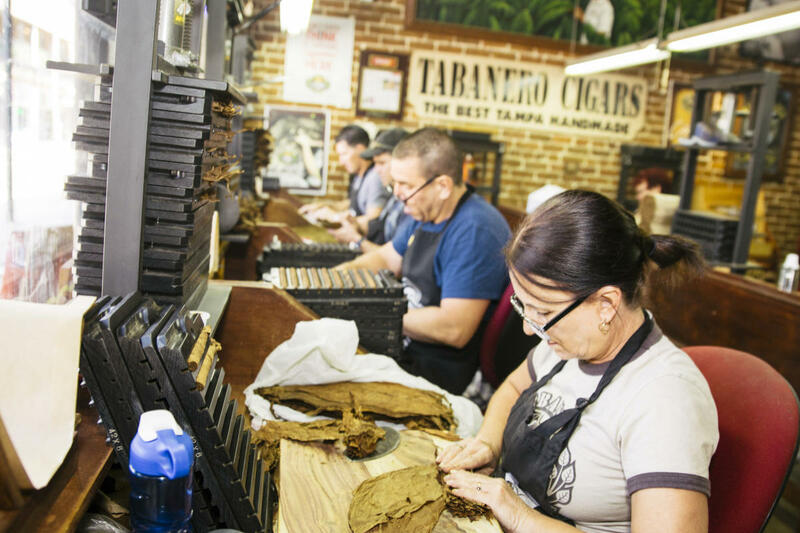 Cafe con leche has been a staple of Tampa Bay&apos;s coffee culture since the first Cuban cigar workers arrived in Ybor City more than 130 years ago. The mix of strong coffee and sweet milk is an eye-opening experience that will fuels many a late night on Seventh Avenue.